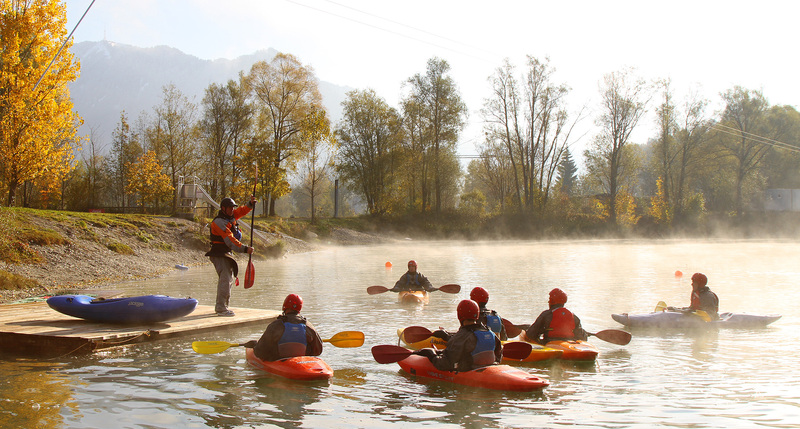 The Naval Outdoor Centre Germany is the Royal Navy's Adventurous and Challenging activities Centre situated in the beautiful Allgäu area of Bavaria Germany. Its aim is to provide members of the Naval Service the opportunity to participate in Adventurous activities and in doing so expose individuals to risk, occasionally operating outside of their comfort zones. We achieve this by offering the opportunity to participate in winter and summer based activities over a 5 day training package. The first surprise for many will be the fact that personal contributions will be £0, that's right nothing!! We are supported by both the RN/RM Sports Lottery and the RN/RM Charity, so join today! What is the booking process? What is the booking process? Complete the online booking form and submit! All allocations are made around 2 moths in advance of the requested week. All applicants will be informed via the email provided whether successful or not. Successful applicants will receive joining instructions 6 weeks prior to travel. Is this the same if I am planning a bespoke package? Is this the same if I am planning a bespoke package? If you require a bespoke package, please complete the online booking form. In the other comments box please give as much information as possible of what you require. In order for us to help you plan this we will need as much notices as possible in order to help facilitate your aspirations as long as they are realistic. Is there a reserves list? Is there a reserves list? There is a reserves list that will be contacted if any units reduce numbers of cancel due to unforeseen circumstances. This could result in us contacting you last minute, however we will always try to give as much notice as possible. What happens if I want to make my own travel arrangements? What happens if I want to make my own travel arrangements? No problem just let us know. If you wish to fly we would recommend flying into Memmingen (Munich West), Munich or Stuttgart airport. You will then need to make your own way to NOCG. NOCG provides transport from Dover at public expense therefore all flights must be met at personal cost. Attendees are to arrive at NOCG no later that 1030 on Sunday and will not be permitted to depart until 1700 the following Friday. For full details visit our Travel page. What if I want to fly to NOCG? What if I want to fly to NOCG? No problem just let us know. If you wish to fly we would recommend flying into Memmingen (Munich West), Munich or Stuttgart Airport. You will then need to make your own way to NOCG. NOCG provides transport from Dover to NOCG at public expense therefore all flights must be met at personal cost. For full details visit our Travel page. What equipment do I need? What equipment do I need? An Administration Order will be sent on confirmation of your booking, this will include a complete kit list . Sounds great when can I come? Sounds great when can I come? Go to the online calendar and identify a week that you fancy, if there are vacancies, clear it with your line manager and submit the online booking form . I have Adventurous Training Qualifications, can I help as an instructor? I have Adventurous Training Qualifications, can I help as an instructor? Yes, simply get in contact with details of your AT qualifications and dates you can be spared and we can have you join in with our instructional team. NOCG is not just a centre for the masses. We are also here to help develop, reinvigorate and provide confidence and CPD to all those with instructional qualifications within and outside of the Physical Training specialisation. We offer the opportunity to work alongside our instructors who will support and provide guidance and training should you require it. Can families visit NOCG? Can families visit NOCG? Yes, NOCG also offers an RN/RM Families package over Christmas and Easter periods. Applications for Easter 2019 Families Package has now closed. Applications for Christmas 2019 can be accessed here. General information can be found in the Families Packages Info Pack (Word).